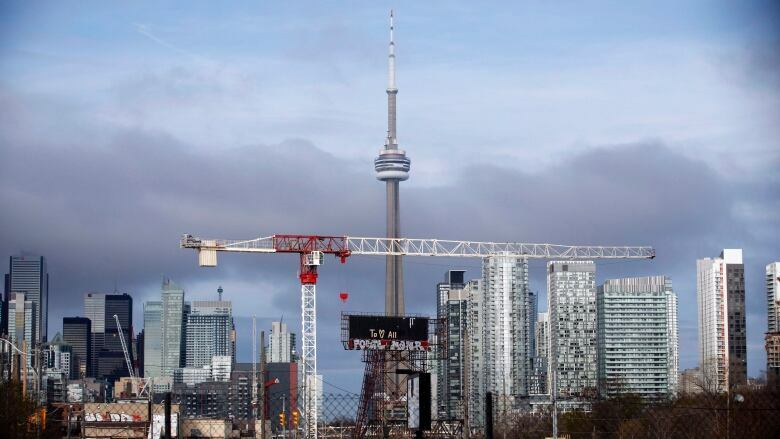 Toronto will require short-term rental operators to register with the city, while blocking secondary suites from being listed on sites like Airbnb. Council voted 40-3 in favour of the full suite of regulations, and 27-17 in favour of blocking secondary suites. The latter became the main point of debate Thursday during a tense day of talks that saw councillors yelling at each other as well as frequent outbursts from members of the public who packed the public gallery. Coun. Ana Bailao, the city's housing advocate, moved the motion. She says secondary suites have long been a bastion of affordable rental housing and with about 70,000 citywide, the city needs to protect that housing asset, especially with the vacancy rate dropping below two per cent. Many on council say the city's facing a housing crisis. "We cannot afford to lose units," she told council. Following the vote, Bailao said she was pleased with the result. "I think that the city has acknowledged that short-term rentals have a place in the city but that we've balanced that out with the housing situation that we currently have," she said. Airbnb, by far the largest player in the short-term rental market, says about 700 of its hosts offer up secondary suites — the most common form being a separate basement complete with a kitchen and bathroom. It's unclear what will happen with those units once the new rules take effect. Operators could easily deconvert them, and simply operate them as a room in their home. Or, they may decide to put them on the long-term rental market, which many on council would prefer. Alex Dagg, Airbnb Canada's public policy manager, says the company will be educating its users about Toronto's new rules. "We'll work with the city," she said, noting Toronto's not the first city to introduce new rules to a sector that had previously been unregulated. Vancouver recently approved new short-term rental rules that also ban the short-term rentals of secondary suites. 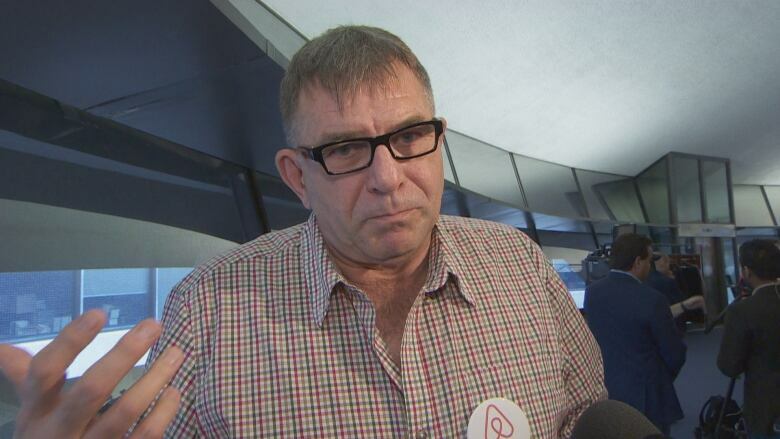 Thorben Wieditz, spokesperson for the hospitality workers' union-backed group Fairbnb, said his group will be keeping a close eye on the sector to see if companies are complying. Dozens watched in the council chamber, with Airbnb hosts and supporters clad in pink shirts on one side of the public gallery and those aligned with Fairbnb dressed in white t-shirts on the other. Many stayed for the entire six-hour debate. The city's regulations don't ban short-term rentals, defined as less than 28 days, but instead require those who operate them to attain a licence. Homeowners or renters will be limited to offering their primary residence, which can include up to three rooms or the entire house. Those offering their entire home can only do so 180 days per calendar year. Coun. Cesar Palacio moved a motion tightening requirements around what identification would-be hosts have to provide the city to include government-issued documentation. That was approved. Mayor John Tory has supported the plans, noting the need to preserve affordable housing. Thursday's debate falls one day after council approved emergency spending to tackle what many are calling a crisis in the city's homeless shelter system. Platforms like Airbnb, VRBO and others will have to pay a one-time $5,000 fee, as well as $1 per night booked. Council's decision limits the options available to short-term rental operators, leading one group that represents people listing dozens of short-term rentals to say it will pose an "existential question" for their business. Paul Nedoszytko has listed his basement apartment on Airbnb for four years, and needs the income because he and his wife both lost their jobs within months of one another several years ago. Their daughter encouraged them to try Airbnb, and Nedoszytko says even though he didn't know what the heck it was they decided to give it a try. "We rely on it pretty much entirely now," he said. Nedoszytko says he would prefer to keep running an Airbnb rather than finding a long-term tenant for the space. "It's no secret that you can generate more income short-term," he said. During the committee level debates, several Airbnb hosts admitted they make far more money from short-term rentals than long-term, with one estimating the income was 30 per cent higher. Coun. Gary Crawford moved a motion reverting to the original staff recommendations, which allowed secondary suites being put on the short-term rental market. Homeowners, he said, "should have that ability." Crawford said it's important for the city to maintain affordability for owners, and noted some rely on short-term rental revenue to stay afloat. Coun. Janet Davis blasted that idea, asking Crawford why those owners wouldn't seek out long-term tenants. "How is it that they wouldn't make money doing that?" Crawford said the city shouldn't force owners to accept a long-term tenant. Questioning staff, he confirmed there's no data proving homeowners would offer units up for long-term rentals if they couldn't list them on sites like Airbnb. Coun. Gord Perks said he's now spending nearly half his time as a councillor with residents in tears because they're facing eviction. "Yesterday, we had a heartbreaking debate on the fact that our shelters are overflowing. Part of that problem is the lowest of the low-income people used to be in apartments that are now Airbnb units," he said. Perks says he has "no sympathy" for Crawford's arguments.